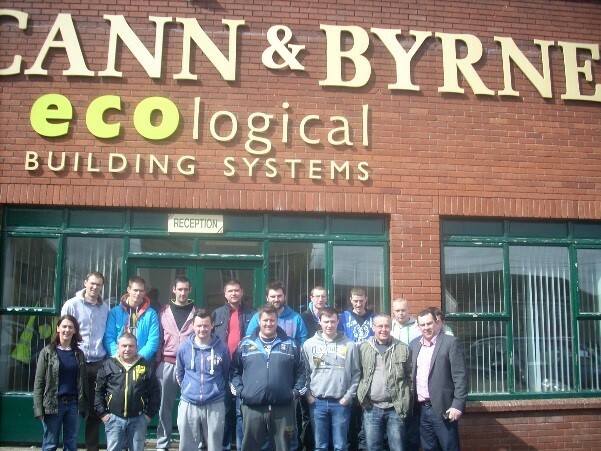 As part of our commitment to bringing Learning to Life, our BUILD students went on a field trip to Athboy to the premises of Ecological Building Systems. Based in Co Meath, the company provides Airtightness & Insulation specification guidance and site support, design guidance and Advice on meeting Building Regulations. 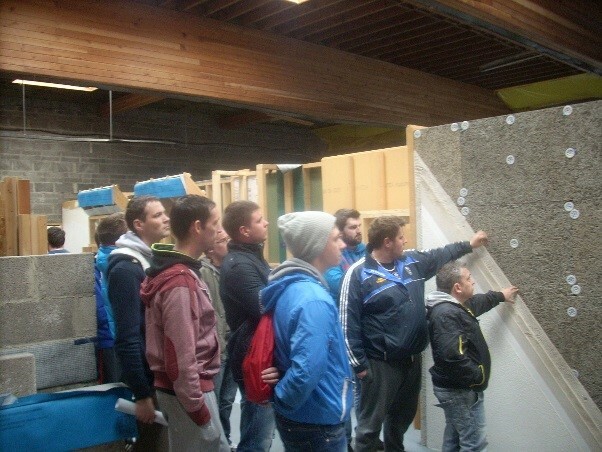 Anthony Rehill a student on the programme explained how, “as a follow up to an earlier talk by Niall Crosson from Ecological Building Systems our group made a field trip to their training centre in Athboy. We were shown around the centre by one of their technical experts, Peter Smith who enlightened us about airtight products and techniques. As well as giving us an informative talk and slide presentation, he showed us the in-house construction models which demonstrated the airtight products and techniques as built. All in all this visit gave us a better understanding of the products and techniques we have been studying throughout this course. Sometimes it is better to see and touch these things first hand than trying to comprehend how these things work from a book or computer screen. For this reason, this is what made this trip a very worthwhile experience. The BUILD Training for a Career in Sustainable Construction Programme, managed through Solas Momentum is part supported by the Irish government and the European Social Fund as part of the ESF Programme for Employability, Inclusion and Learning 2014-2020.